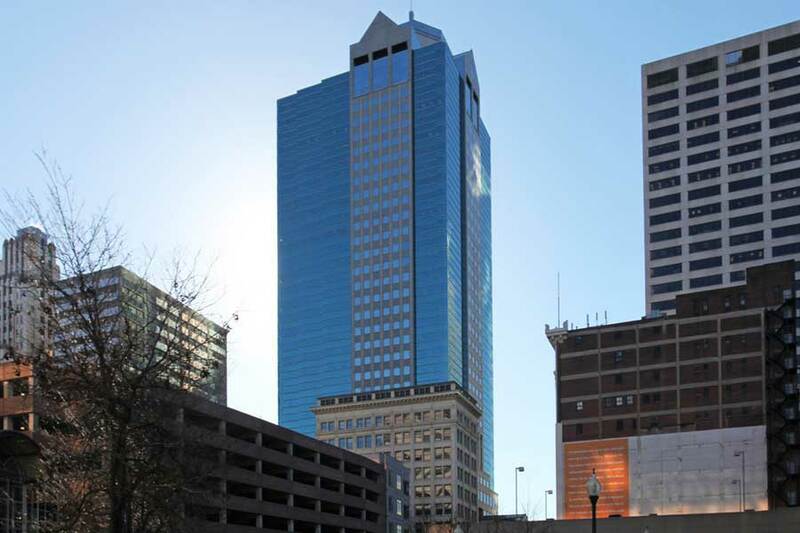 Town Pavilion is the second-tallest habitable building in Kansas City and third-tallest in the state of Missouri. 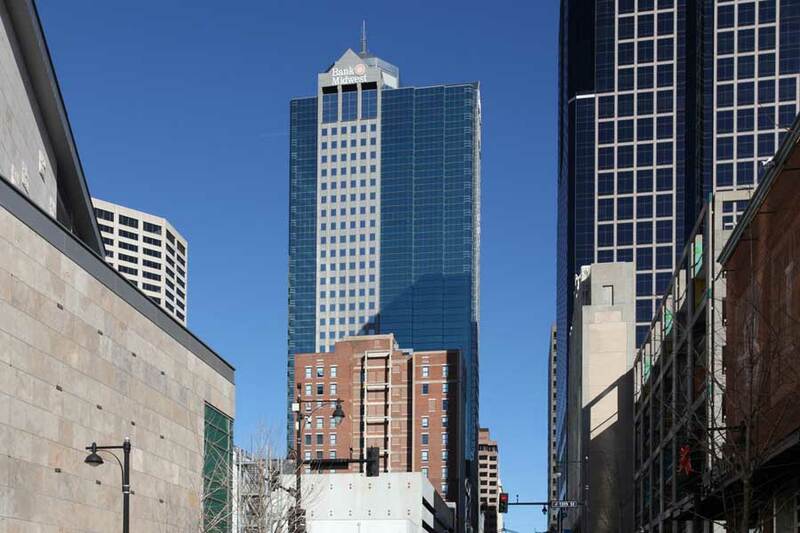 The 38-story mixed-use tower occupies a full city block in Downtown Kansas City on the northeast corner of 12th Street and Main Street. 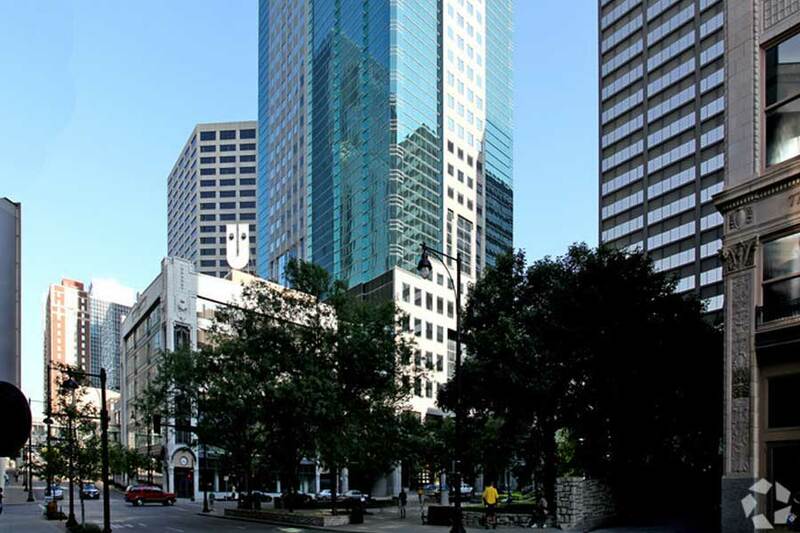 The iconic building includes one story of retail and 34 stories of offices including tenants such as Academy Bank, Bank Midwest, Deloitte & Touche, PriceWaterhouse Coopers, RT Specialty, NAIC, and Copaken Brooks‘ corporate office. The retail component of the building includes Plowboys, Johnny C’s Deli & Pasta, Mama Tio’s, Ruby Jean’s Juicery, FedEx, and Town News. The complex also controls two parking garages containing over 2,500 spaces located on the adjacent blocks. 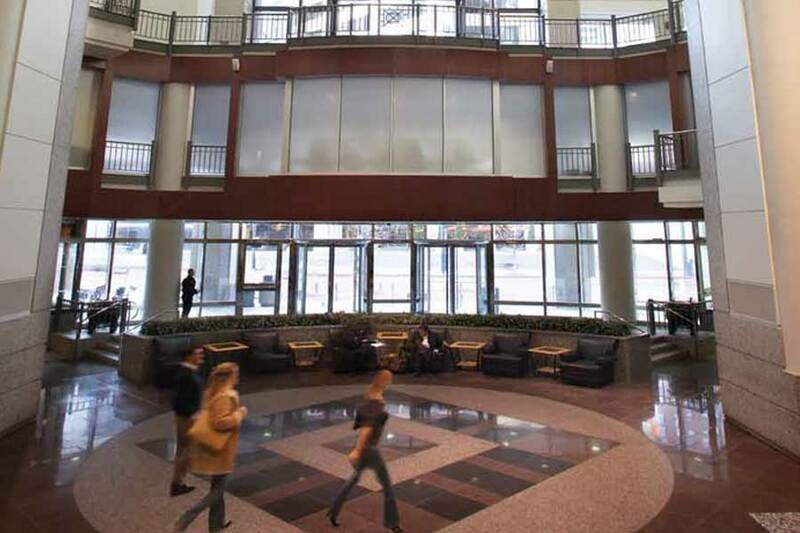 The building was constructed originally as the “AT&T Town Pavilion”, the Southwest Regional Headquarters for AT&T, and opened in 1986. The 11-story former Harzfeld’s Department Store and the former Boley Building were preserved, and have been integrated into the design of Town Pavilion.